Major national and international initiatives went into effect to heighten the security of ships and ports in 2004. What effect have they had on the safety of cruise passengers ashore? The answer, is probably none directly, though there is an increase in safety within the ports themselves, because of the better fencing, increased surveillance and more intense review of identification documents as passengers and others board the ship. So personal safety as you leave the dock remains with you the traveler. Here are some tips to help you stay safe. The majority of international ports of call are safe. Local officials want to keep it that way to remain an attractive destination for cruise ships and the tourist dollars they bring. 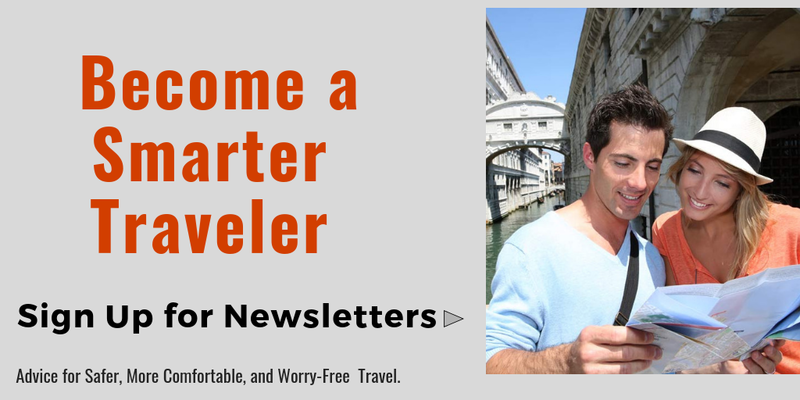 The most common crimes committed against travelers is petty theft (stealing wallets, phones, and bags) pickpocketing and overcharging for goods or services. Violent crimes are rare, however, you should know the areas to avoid, just like you know what areas to avoid at home to minimize becoming a victim. Before visiting any port, consider checking the U.S. State Department updates and warnings for the country and port visited, as sometimes you can learn some valuable safety, security, and health information. Visit travel.state.gov and search for the county you are visiting. 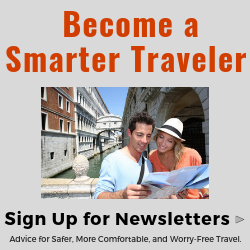 This is probably the most valuable site on the Web for security-conscious travelers. Do a Google search for current crime trends involving the destination(s) you will be visiting prior to departure. Search terms such as “crime against American tourists [name of specific country here].” While many of the web results may not be from government agencies, and some may not be valid or recent at all, they will give you some guidance on the subject. Ask your cruise security director, cruise director, or shore excursion manager if they are aware of any crime risks for the areas you plan to explore ashore. 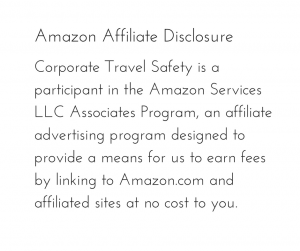 This may be really important if you plan on exploring a port or city on your own and not part of the cruise ship’s organized excursions. Best advice, don’t “explore” where you are an isolated tourist. Isolation translates into vulnerability. Think about how you are dressed while in-port, especially when visiting ports that have poor surrounding areas. Avoid American logos on your clothes, as well as minimize the amount of expensive looking jewelry you will wear while in port. When it comes to your wallet and purse, “sanitize” them. Remove all the credit and ID cards you don’t need while traveling abroad. Think about if you had to report your wallet or purse stolen to local police, what’s in your wallet/purse now? Make it easy on yourself and clean out un-needed cards and IDs. 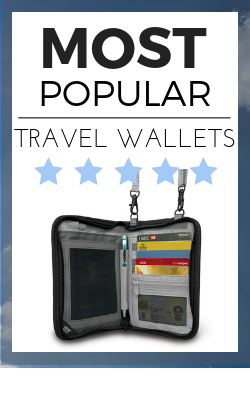 Use hidden travel wallets, body pouches, antitheft crossbody bags, antitheft purses, and antitheft backpacks and waist packs for peace of mind. 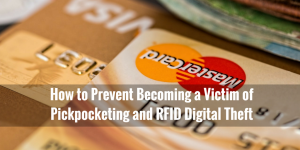 When visiting cruise ports, be particularly alert in crowded tourist areas, street fairs, marketplaces, lines at tourist attractions, public transportation, or anywhere else where your wallet, purse or travel bag may be vulnerable to theft. Beware of distraction thieves who work in teams to relieve you of your valuables. 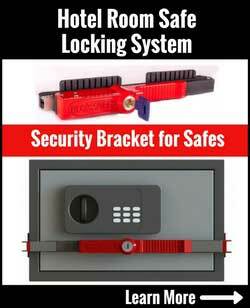 Solution -and for peace of mind use travel gear designed to keep your valuables secure on your person. Don’t walk, get in a cab, or go anywhere alone. Go in groups of two or more it reduces your chances of being targeted by criminals. Many cruise ports offer restaurants and bars and enjoying that fancy cocktail or additional beer seems like a fun idea, after all, you’re not driving. However, that extra drink could impair your judgment and make you more vulnerable to a scam or con artist’s charms. Not all local tour companies are out to take advantage of you, however, you’re sure to be in good hands with vetted and reputable tour companies. Companies referred by the cruise line typically cost more but they also provide safe vehicles with licensed drivers and trained guides. The cut-price local guide can be a risk not worth taking on various levels. Anyone who takes a cruise internationally should consider the purchase of travel medical and evacuation insurance. Obviously, other types of travel insurance could be equally important, especially if you need to cancel your cruise for an emergency before your trip, but travel medical and evacuation insurance could be more important. Why? When you travel outside the United States, most personal medical insurance policies do not provide coverage outside the USA (including most versions of Medicare) and if they do, you will find that you need to abide by certain requirements and approvals for coverage. Additionally, you will have to most always pay the medical and evacuation bills yourself first and then fight for reimbursement.